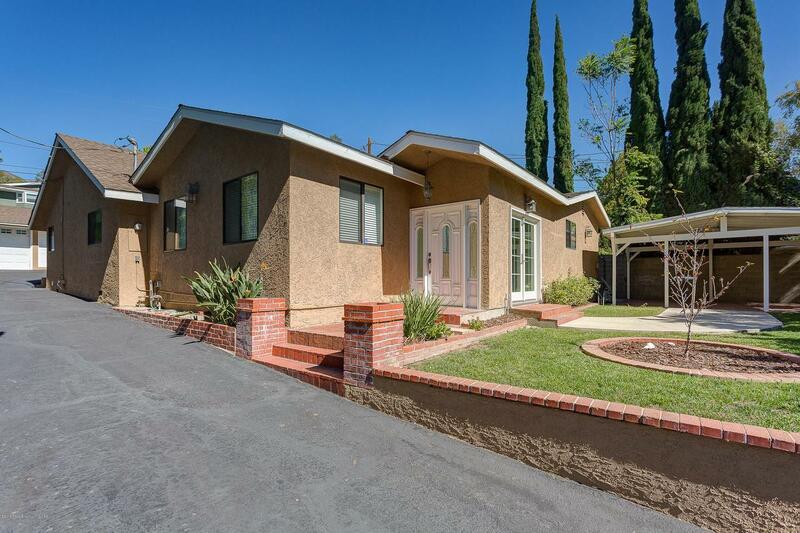 BEST PRICED 4 BEDROOM 3.5 BATH HOME in La Crescenta. Can't beat having award winning La Crescenta schools too! 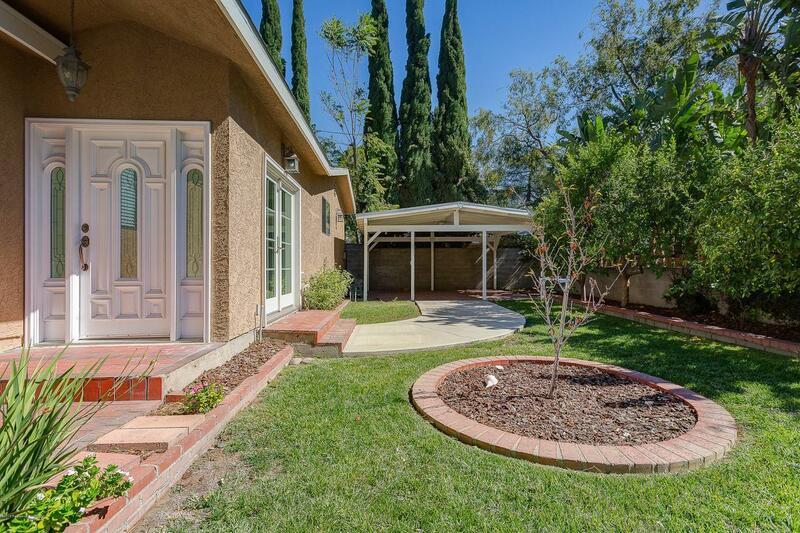 Situated on a rear lot (the driveway belongs to this house) the home provides total privacy.The long driveway leads to a sunny front yard and shaded patio area. 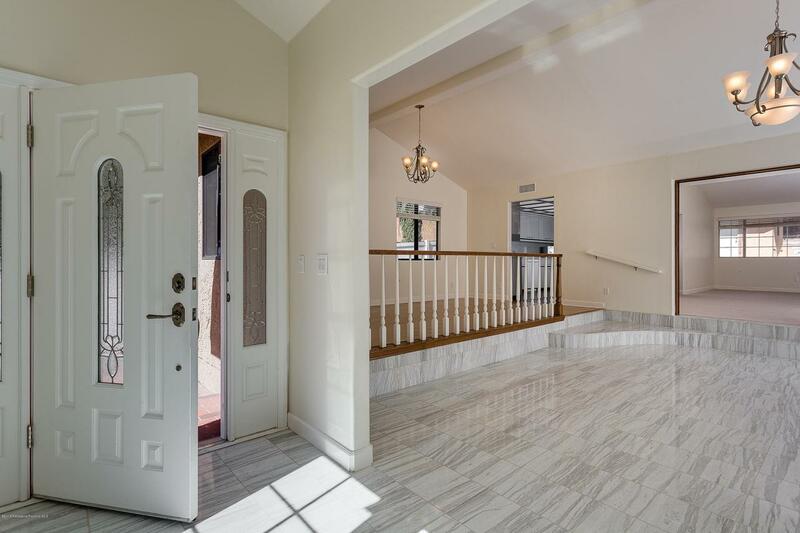 The entryway opens to a spacious living room with tile flooring and vaulted ceiling. A separate family room features a marble fireplace. The dining area leads to a large kitchen with ample storage space. Laundry room suitably located just off the kitchen. The master suite boasts a walk-in closet and attached master bath with double vanity, soaking tub, and tiled shower. The private 4th bedroom is truly a guest suite. 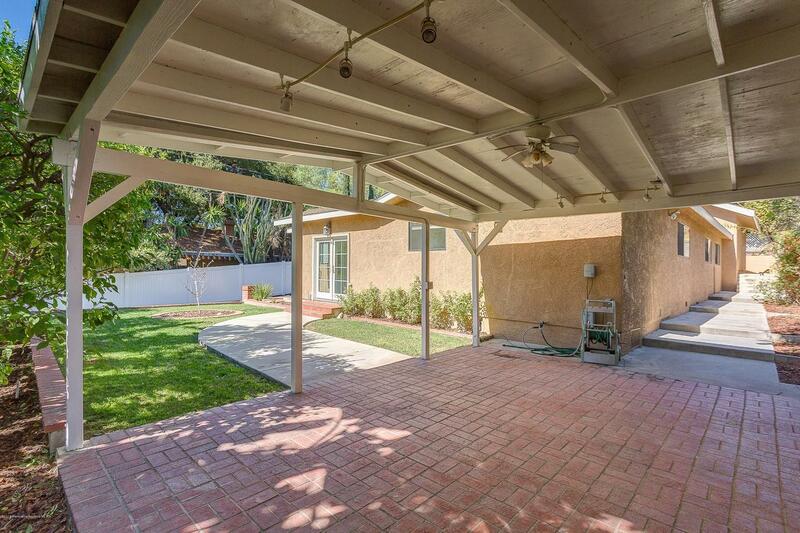 It features a kitchenette with granite counter-tops and its own 3/4 bath with tiled shower. Interior amenities include newer paint and carpet. Detached two-car garage in the rear of the home offers plenty room for storage. Plenty of room to drive up the driveway and turn around. Listing provided courtesy of Jayne Parsons DRE#00874915 of Keller Williams Realty and Brian Parsons CA DRE# 01712649 of .